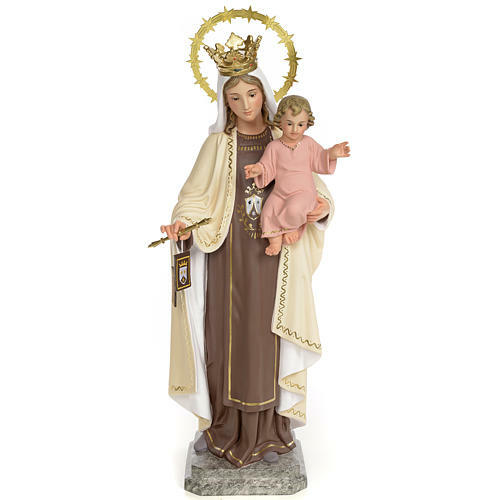 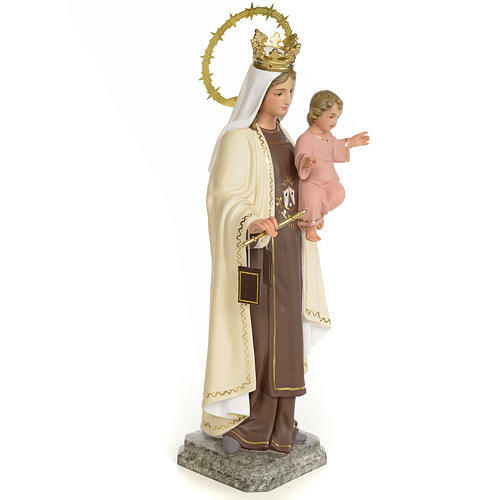 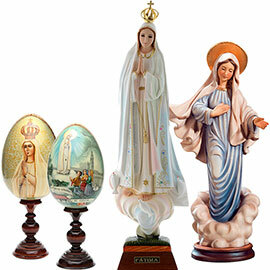 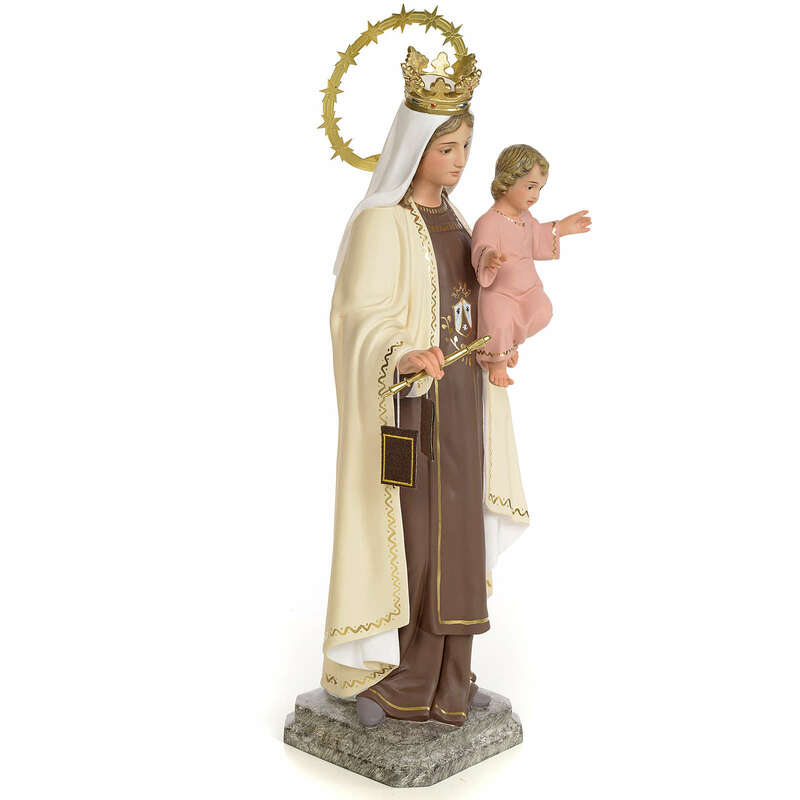 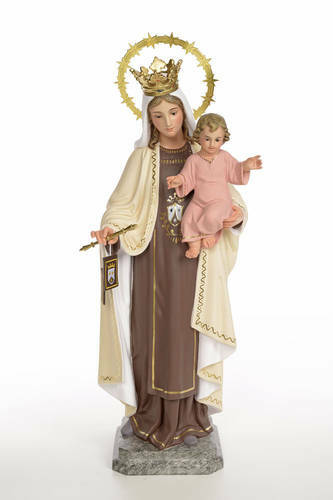 Virgin of Mount Carmel statue in wood paste 40cm with fine decoration. 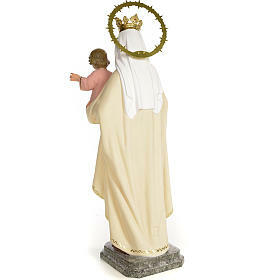 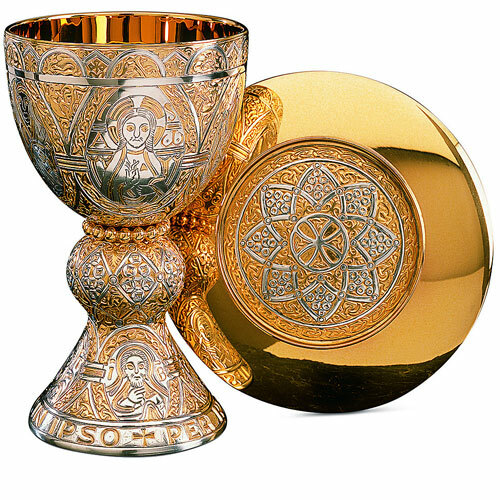 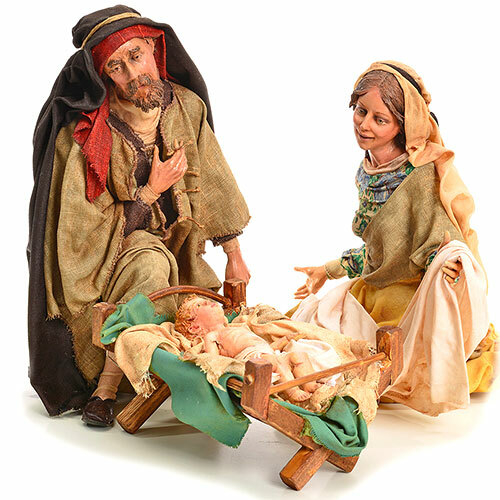 Fine decoration of the sculpture: the colours are full and saturated, on the hem of the mantle there's a simple golden line, the base is of a solid colour and coated with varnish. The eyes of this statue are made of crystal. 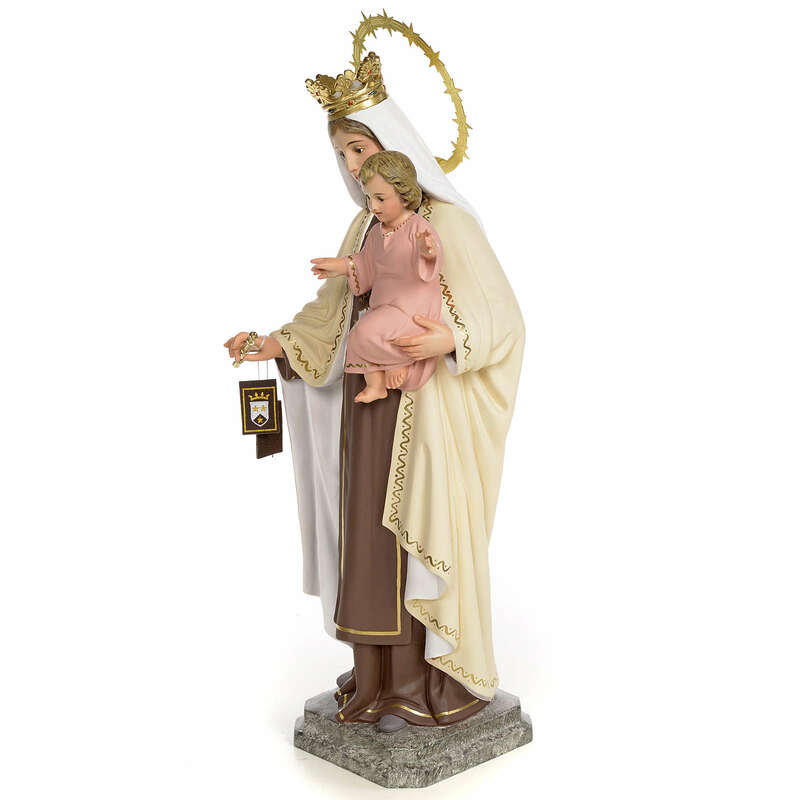 This sculpture is also available, upon request, in different sizes and finishes; if you need further information please do not hesitate to contact us: we will be happy to help you.